Capturing a story through dancing has to be one of the most difficult to accomplish. The nuances of character, the interweaving plots, and the emotional turbulence of a classic fairy tale are hard to pin down in arabesques, ballons, and cabrioles. That the ballet companies in Russia are considered some of the finest at achieving every story gradation with every pirouette is one of the reasons we wanted to see the St. Petersburg troupe perform the archetypal Swan Lake. Watching the young swans float as if swimming on a real lake in the same theater where Catherine the Great once saw similar performances was a hauntingly beautiful experience. Were they only dancers or did their feathered wings speak of a fairy tale come to life? We’re still not sure. Graffiti or street art? 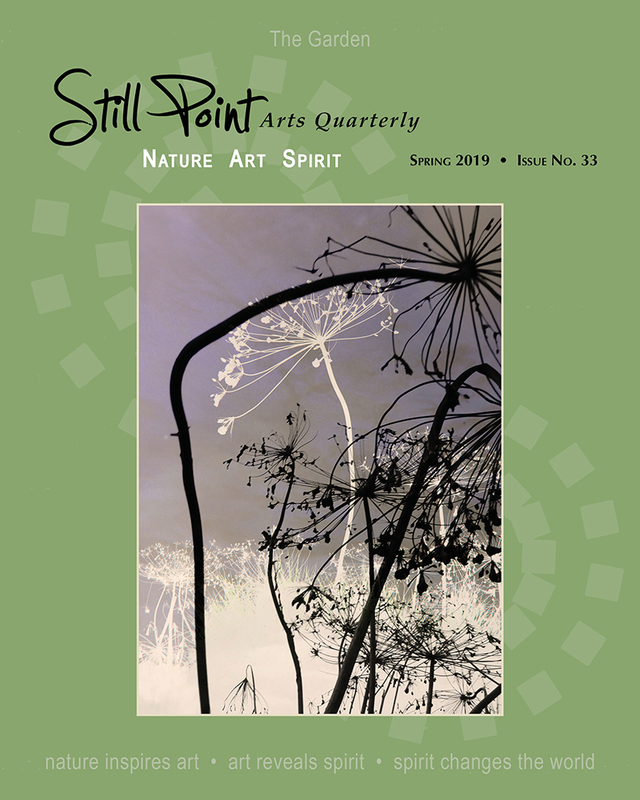 We constantly debate that question at every urban landscape. We’ve seen graffiti destroy the beauty of ancient Roman architecture and admired its artistry under steel bridges. 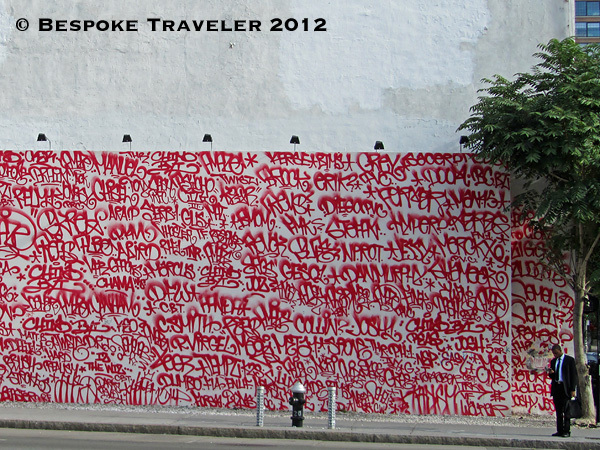 This wall of graffiti took us by surprise as we were walking along the streets of New York City, a destination well versed in “street art” of all manner. To turn the corner and be confronted with an entire wall of red writing was ominous. Was this how Nebuchadnezzar felt when he saw the writing on the wall? We were completely unaware of what a colorful world resided underneath our kayaks and canoes until we decided to snorkel for the first time in the Caribbean. Since then we’ve taken to searching for sea turtles, angelfish, and jellies wherever we travel. 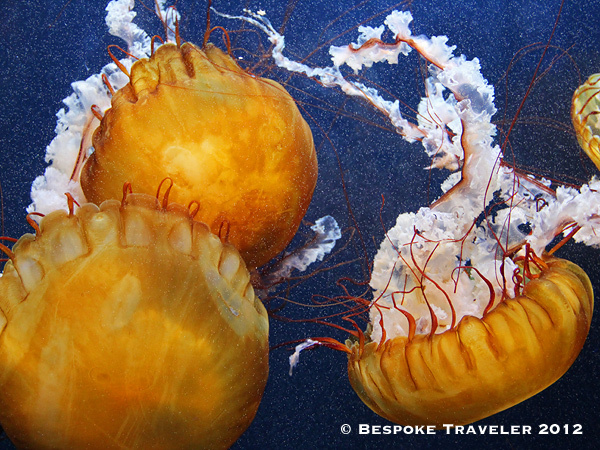 This group of Pacific sea nettles stopped us in our tracks when we were sheltering from the weather in San Francisco‘s Aquarium of the Bay. Stunning is the only word that came to our minds as we pressed our faces, mesmerized, to the glass. Their rhythmic pulsated swimming had a soporific effect on us. Mellow, indeed. They say that industrial age technology and greener living are incompatible. We’d like to politely differ on that opinion because as we wander from city to city, we constantly see people using the tools they have to create a more sustainable way of life. While we’ve seen commuters change from cars to bicycles and community gardens popping up everywhere, the idea of a garden on a vehicle caught us off guard whilst strolling the 8th arrondissement in Paris. Suddenly, anything seemed possible: a tiny apartment inside a VW bug or an entire forest built on the skeletons of a scrapyard. The ideas are endless for a greener scooter planet. There used to be a time when blue jeans were the calling card of American cool and grit. Everyone else turned up in slacks while secretly admiring how denim pants could be at once so commanding and rebellious. These days, jeans seem to be on every man, woman, and child from the courtyards of chic Paris to the forgotten villages of Rajasthan. Even animals have taken a liking to the ultimate American outfit! 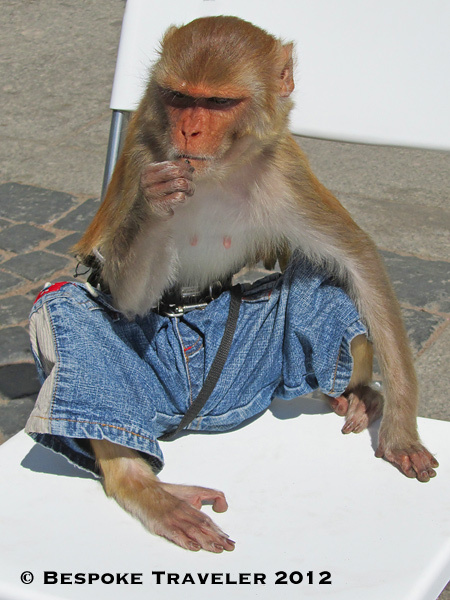 There’s no question this relaxed monkey is feeling every which way cool in his own pair of blue jeans. How could we help not smiling when we met him snacking on his chair, completely unfazed by the crowds, the photographers, and the attention in St. Petersburg? We’d have liked to get his autograph, but it seemed to smack of celebrity fandom and we figure he’s already got a huge ego. 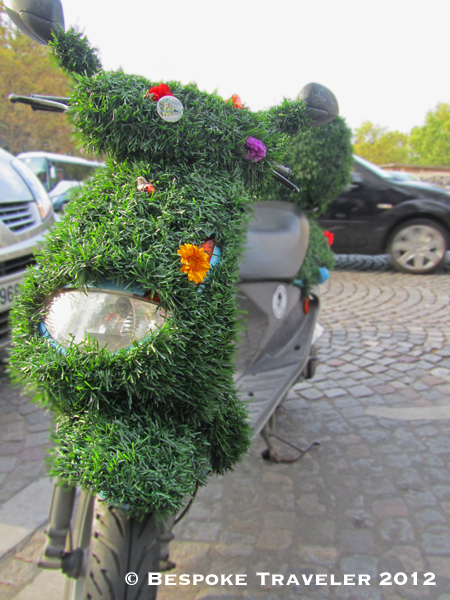 The photos are wonderful especially the “green” Vespa. Thank you! We worked really hard on this contest, and although we didn’t win, we did have a lot of fun submitting our entries. Thanks, Tricia. 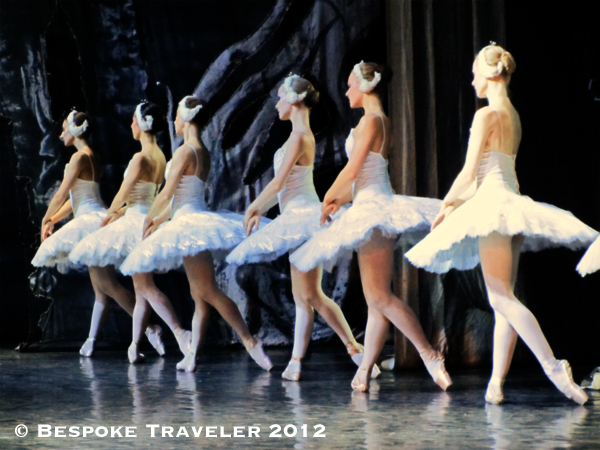 Two of my favorite photos that I’ve taken are the are the ballerinas performing Swan Lake and the monkey in jeans. Oddly enough I found them both on a trip through Russia last year. Never know where a good photo opportunity will present itself. Cheers. Thank you for the kind words. If you have a chance to see a Russian ballet company perform, especially if you make it to Russia, I’d highly recommend it. It’s an awesome experience. Cheers. Love the photos and playful captions…Nebuchadnezzar would probably have not thought of ‘red’ hanging gardens! Hope BT wins! Rooting for you! Thanks for the kind words. We love sharing our travel photos and hopefully many others will enjoy them as well. Cheers. Agreed. When traveling I sometimes come across funny things like that which really make for a memorable trip. Thanks for the kind words. Cheers. Love the monkey with attitude (and enviable jeans). He’s got personality, Jo. I’m sure no one gets between him and his Calvin Klein jeans. Cheers.